How To Properly Monetize Youtube Videos? Are you planning to create & monetize YouTube videos? If you didn’t, I believe you should! This idea also triggered the minds of top-notch youtubers and led to the creation of several successful YouTube channels across the world. The number of channels earning six figures per year on YouTube is up 50% y/y 😮 This is the power of YouTube. YouTube is 3rd most viewed website in the world. Not just this it bags several such mind blowing facts since its conception. Until 2007, Youtube didn’t have any means for its partners to generate revenues from the videos you upload. But in January 2007, Hurley announced at the World Economic Forum that YouTube was working on a plan that would let the site share its revenues with its users. Eventually In May 2007, YouTube launched its Partner Program, a system based on AdSense which allows the uploader of the video to share the revenue produced by advertising on the site. So why not make the best of the system and let YouTube Pay for uploading the videos. If you already did start a channel, and didn’t yet monetize youtube videos then this post will definitely serve the purpose. The primary source of revenue for YouTube is by selling advertising on its pages. YouTube revenue sharing policy sends some of these revenues to users who upload videos to the site, when those videos are viewed by other users.YouTube typically takes 45 % of the advertising revenue from videos in the Partner Program, with 55% going to the uploader. So, In order to receive the revenue share from advertising, you need to monetize YouTube videos. Besides, advertising you can make money in several other ways on YouTube. Here are the 7 Proven Ways to Make Money from your YouTube Videos. You can take advantage of all or any of those methods to get paid from YouTube. For now, you can check the step-by-step process to enable YouTube monetization. YouTube monetization is simple and just takes a few minutes. 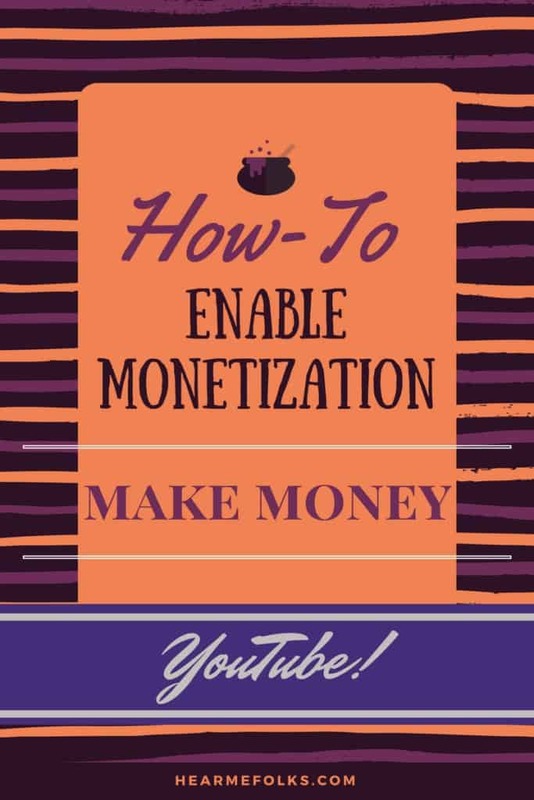 To enable YouTube monetization, you need to accept YouTube’s advertising guidelines and connecting to an AdSense account for payment. Enabling ads on your YouTube videos also requires agreeing to Google’s ad revenue share for YouTube. But even before that, your channel should be verified . It should be good standing and should not violate copyrights or community guidelines. Once your account is verified you can then proceed with YouTube monetization. You must associate an Adsense Account to your YouTube account in order to get paid from Youtube. To Monetize YouTube Videos, Lets begin here! Click on ‘monetization’ in channel settings. Accept the terms and conditions for your account and then enable it. Then proceed to ‘video manager’ tab to check if your videos are ready for monetization. You will see a green dollar sign next to the videos that are eligible for monetization. If you don’t then these videos might be facing copyright issues and will be shown under the copyright notices tab. You can enable or disable individual videos for monetization in the Video Manager. You’re not yet done with it, once again go to monetization tab and click on “how will I be paid?” section. In order to be paid, you must associate an adsense account to your YouTube account. Click on “associate an adsense account” to proceed to the next step. If you already have an adsense account your YouTube account will be enabled for monetization immediately. Otherwise your account will be verified and you will be sent a mail regarding the status of your adsense application. Check out this video to enable monetization on YouTube. You’re now done! Your YouTube account is now associated with an adsense account and you can now monetize YouTube videos and start making money from them. Your payments are managed through a Google Adsense account. You will receive credit for each video’s monthly revenue into your adsense account linked to your YouTube account. When you accumulate $100 in earnings, Google will issue a payment to your bank account. GET A $10 SIGNUP BOUNS! Swagbucks - $5 sign-up bonus, lots of perks and up to $35 per Survey. Making Money from YouTube is easy but getting rich is challenging. Make enticing videos, that spread by the word of mouth, without struggling much to promote for views. More views more money. Concentrate & Increase your viewership and ratings with winsome videos. In my opinion, YouTube is the best source to turn your videos to cash.Get ready to make money on YouTube with your most loved collection of videos.What’s your point of view? Great Content, It was very helpful for me and such a one of reputed blog in search engine thanks for sharing valuable information.